Colorado Senior Services cover a wide range of possibilities for your aging parents. Now is the time to explore these options as you continue your conversations with aging parents. You can make sure the plans your parents have put together are thorough. You can, also, gain a broader perspective on the conversations that you have with your parents and insure that the plans they have made include the possibility of support programs at a variety of levels. Transportation Services -transportation to elders who no longer drive and whose physical condition prohibits them from using public transportation. Information and Referral - connects older persons, families, and community agencies to available services. Family Caregiver Support - Provides information to caregivers about available services. Assists caregivers in gaining access to supportive services such as respite care or help with home modifications and assistive devices. Long Term Care Ombudsman - In Colorado, long-term care ombudsmen are advocates for residents of nursing homes, assisted living residences, and similar licensed adult long-term care facilities. They work to resolve individual resident issues and to bring about changes at the local, state, and national level to improve long-term care. Senior Community Services Employment Program (SCSEP) - provides job skills training for individuals that are trying to get back into the workforce. A person must meet the financial guidelines of 125% of poverty or more. 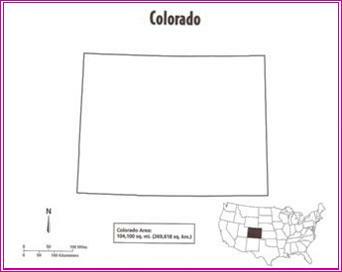 Colorado Area Agency on Aging Regions - This is a downloadable PDF with active contact links that allows you to find which of the 14 Area Agency on Aging Regional Offices is closest to your parents' home. You can contact them to get detailed information on the Colorado senior services available close to their home, and eligibility requirements for both state and local programs. Colorado’s Long-Term Care (LTC) Partnership (link to Frequently Asked Questions) The Colorado LTC partnership is an alliance between the private insurance industry and the state government to help Colorado residents plan for future long-term needs without depleting all of their assets to pay for care. It is designed to encourage and reward Colorado residents for planning ahead for future LTC needs. Colorado Long Term Care Planning Support - A downloadable PDF document that helps consumers ask all the questions about Long Term Care, how to pay for it; how and where to shop for Long Term Care Insurance. Adult Protective Services - Abuse, neglect (including self-neglect or neglect by others), and exploitation are serious problems facing many vulnerable adults who, due to age and/or disability, are unable to protect themselves. APS allows any adult to report suspected abuse and provides investigative and protection services for older adults.